"Plastics make people’s lives better, healthier, and safer, while helping us to live more sustainably. But plastics are also very visible components of litter causing people to question the material’s impacts on the environment. To turn the narrative around and shift people’s perceptions of plastics, we needed to educate our audience on the crucial role plastics play in our world, and show the material through a lens of something they love. We partnered with Plastics Make It Possible®, an initiative sponsored by the American Chemistry Council, to produce an emotional video documenting Hudson the Railroad Puppy’s success story and highlighting how plastic materials helped change his life; the material’s affordability made it the only solution for prototyping a prosthetic paw for Hudson. 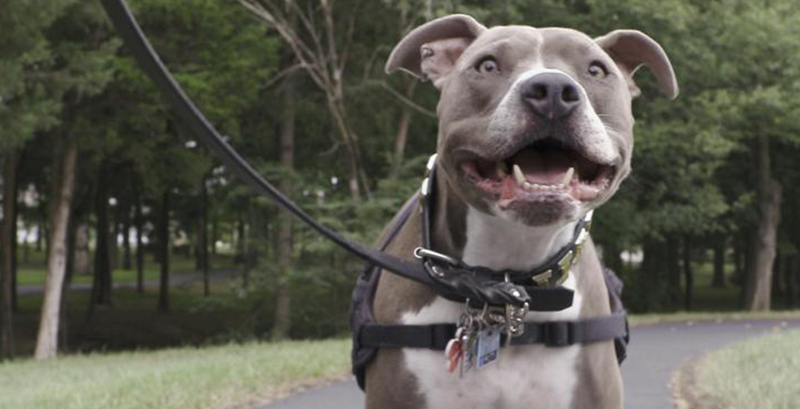 To promote the story of Hudson, we produced and published Hudson’s video on the biggest day of the year for dog lovers around the country, August 26, #NationalDogDay, and used the hashtag that gathers millions of social media posts each year. There were a few different animal stories that we wanted to tell and it was hard to pick just one, but we felt we could tell a stronger story if we focused on one. We actually just wrapped on a follow-up video where we are featuring a few more animals that have been helped by the use of plastic prosthetics. Our client, the American Chemistry Council, has a desire to inform and inspire people to see the benefits of plastics in our lives. This project not only showcases how plastics are being used for good, but how they are truly essential in helping animals get their lives back. These plastics are moldable, easily modifiable as the animal grows, and inexpensive compared to alternative treatments, which in many cases provides animal owners another option over surgery. The plastics component of the story was a natural one; these animals are truly helped because of plastics, whereas other materials would fall short, so we had many conversations about keeping that messaging subtle. When we started researching stories for this piece, we were looking for animals that were successfully using plastic carts to aid in their mobility. We discovered that there are a surprising number of animals of all types that use or are in need of mobility devices. We also found communities on social media that had formed in support of these animals. I’m Out Of Office for equal pay.